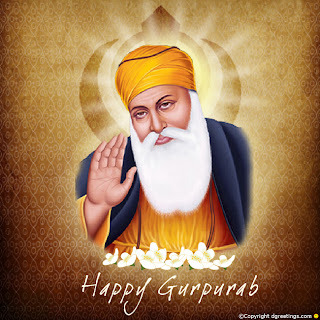 Gurpurab, commemorated as the auspicious Guru Nanak Jayanti, is celebrated as the birth anniversary of most revered Gurus of the Sikhs, Guru Nanak Ji. This is the biggest and undoubtedly the most sacred festivals of the followers of the Sikh religion. Guru Nanak Ji is revered in almost every household of the Sikh follower for he is believed to be the first ever teacher as well as the forerunner of this celebrated religion, Sikhism. Apart from Sikhism, the day is marked with huge celebrations among the certain sections of the Sindhis as well as Hindu Punjabis. Every year, the festival is celebrated in the month of November. It is believed that the religious beliefs and customs of Sikhism have been propagated due to unrelenting efforts of ten main Gurus, the first among them being Guru Nanak Ji. The birth anniversary of each one of these Gurus is celebrated as Gurpurab. Guru Nanak Ji’s birth anniversary is religiously followed and celebrated by each and every follower of this religion. This auspicious day generally commences with Prabhat Pheri, basically an early- morning procession carried out by a group of ardent followers. The procession culminates with the singing of religious hymns around the localities and finally a visit to the Gurudwara where prayers are offered to the almighty. It is followed by a procession of Akhand Path, which is a non-stop reading session of the holy book, Guru Granth Sahib and is carried out for forty eight hours. The reading session is carried out inside the Gurudwara by selected ardent followers of the religion and is open for all the believers to pay attention to. Further, the celebrations are marked by yet another important procession carried out by the selected five beloved ones. The procession is better known as the Panj Prayas. Typically, in this procession, the holy book, Guru Granth Sahib is placed in a beautifully decorated palanquin. The palanquin is then rotated around colonies and localities to give a chance to the devotees to offer their prayers and respect to the almighty. On the other hand, like every procession, this one’s too accompanied by a group of believers who sing the hymns and attract the attention of the passersby towards the Lord. Apart from the traditional celebrations, the followers indulge themselves into social service activities as well. Followers devote themselves in the preparation of a grand feast, better known as the langar, in the Gurudwara which is kept open for all devotees to relish. Distribution of water to the needy, food to the hungry and karah Prasad (auspicious sweet) to the devotees completes this festival. An element of fun is added to the celebrations with huge family dinners and get-togethers followed by bursting of crackers. Guru Nanak Ji was a great teacher, saint and a seer. He showed the right path to re-affirm their faith in the almighty, to all his followers. His preaching and lessons on peace, love and righteousness are cherished even today and well celebrated on the Guru Nanak Jayanti.